Did we really need another film version of Macbeth? Probably not, but as one of the bard’s greatest plays, when you and I are dust, filmmakers will still be turning out their interpretations of this Shakespeare classic. Director Kit Monkman, one of the brains behind critically acclaimed school drama The Knife That Killed Me, is currently at work in East Yorkshire on his interpretation of this timeless classic. So why choose Macbeth as his follow-up to ‘Knife‘? “The most interesting thing about Knife was the way it explores a middle ground between representational reality and psychological kind of psycho geography if you like; inner space, which is not normally film’s language. Or in this case green, which turns black at the flick of a switch. We’re used to directors like Robert Rodriguez exploiting such tech for his Sin City movies, but reworking Shakespeare with a CG-enhanced lustre is a fine way of making it relevant to a new generation. Having tested the hi-tech water with The Knife That Killed Me, Kit was keen to flex his creative muscles for this follow-up project. “There was a sense that after doing Knife, to really test this language and see if it could offer that fluidity, but also with this sort of cinematic vista that we shouldn’t hedge our bets. We should try something properly meaty. Stood in my socks (careful not to mark the green floor at GSP Studios), I’m soon roasting under the studio lights, so I feel for the baking thesps, especially one poor soul draped in a thick cape. However, the impressive visuals are worth it. ‘Pain is temporary, film is forever’, as the old adage goes. It remains to be seen how well this version of Macbeth compares to Michael Fassbender’s (due in October), or the 100 plus film and TV versions over the years, but given the calibre of cast and crew firing on all cylinders one rainy June afternoon, the magic Kit and company create when the film is released should be the stuff dreams are made of. And given the multi-layered quality of Knife That Killed Me, one of the best films of last year, I’m fascinated to see what one of Blighty’s most talented directors does with its greatest playwright’s work. If Christopher Nolan wrote and directed a Sherlock Holmes film, chances are it would look like Mr Holmes, the new movie from director Bill Condon (Gods and Monsters). A tale of fractured memories and strange goings on. The story gives us a fresh take on the Baker Street legend, from his attire (no deerstalker) to his London address (opposite 221b Baker St). There’s no Mrs Hudson, Inspector Lestrade and very little Watson. A bold take on a well worn character but hugely rewarding. It’s also a slow burner of a film, jumping around timelines like a certain Gallifreyan in a phone box. The tale of a grieving husband concerned about his wife is one of the plot threads woven into the fabric of the screenplay. However, the heart of it involves the relationship between Holmes, young Roger and his wary Sussex housekeeper mother. The latter is brilliantly played by Laura Linney, so convincing as an uneducated Brit, I had no idea it was her until the closing credits rolled. Yes, I know she’s mentioned in the opening credits too, but I was so engrossed in Ian McKellen’s performance throughout, I forgot about the supporting cast until some turned up looking like they did in their last performance. No bad thing, but it’s some feat to slip under the radar of a rabid movie lover who’s been following an actress’ work for 20 years. Back to Ian, whose ability to play two different ages (93 and younger) so convincingly, without resorting to doddery stereotype, was staggering. Holmes’s face is a relief map of emotion, every wheeze and grimace adds depth to the character. McKellen’s turn here is among his greatest. For anyone who’s looked after a sick grandfather or parent, it’s hard not empathise with certain scenes. The great detective has never seemed so vulnerable or frail on screen. If there’s any justice, McKellen will walk off with well deserved Baftas and Oscars next year. There’s a good chance Milo Parker will also be in the running for award gold in 2016, most promising newcomer probably. His Roger is witty, moving and self assured, generating a brilliant dynamic with the seasoned star, yet never being overshadowed. Things get a little meta when Sherlock attends a movie version of one of his cases, the screen Holmes played by Nicholas Rowe of Young Sherlock Holmes fame, reprising the star-making role after three decades. It’s a nice touch, and while the film is thankfully devoid of chases, action scenes and explosions, it could have done with a little more oomph in the second act to resurrect my flagging interest. Solid support comes from Roger Allam, Frances De La Tour, Frances Barber, John Sessions and Phil Davis. Well worth a look, but would work as well on blu ray or DVD as on the big screen. There’s a scene in the original Jurassic Park when Samuel L Jackson decides to re-boot the eponymous complex’s computer system. It takes place within a matter of seconds, but as any fan of the series will tell you, it’s been 14 years since Jurassic Park III bowed out of cinemas and restarting the film saga has taken a lot longer. At one point, rumour has it that writer director John Sayles came up with an idea about dinosaur human hybrids. I would have loved to see that daring premise in action. But that version fell by the wayside, and eventually Steven Spielberg and writer director Colin Trevorrow (maker of terrific low-budget sci-fi comedy thriller Safety Not Guaranteed), along with a few others, came up with the idea for Jurassic World. Basically it’s more of the same, 22 years later, with a gene-spliced dinosaur antagonist. I really wanted to hate the much hyped third sequel to 1993’s groundbreaking blockbuster. The whole thing looked incredibly generic, albeit on a bigger scale thanks to the advancement in technology over the past 22 years. For the first half, my zero expectations seemed to be met. Bryce Dallas Howard was incredibly annoying as Claire, the corporate stooge/useless aunt to the integral kids in peril. She came across as one of the stupidest people in the saga. Walking action figure Chris Pratt had all the appeal of an animated mannequin. As Owen Generic Hero, he seemed to have one fixed expression throughout the movie; It may have been deliberate so the dinosaurs would appear more characterful. Irfan Khan was terrific in Life of Pi, terrible here as the big cheese behind the eponymous arena, like he’d wandered in from another movie. He never conveyed a sense of gravitas or peril. So many movies bore me, falling apart in the third act, but JW was a welcome surprise, generating some great moments, including a clever kids in hamster ball scene and that finale – the best since the original. Yes, there were gargantuan problems, like the lack of build up when the big bad wanders out of its enclosure (like it had just nipped down the shops). And the obvious ‘secret’ component which made up the hybrid dinosaur villain: something anyone with a brain cell would have thought of; the fact it takes Owen most of the movie to figure it out is hilarious. Oh, and it also has the funniest third act heroine hair since Shailene Woodley’s disastrous ’do in Insurgent. And the less said about those awful closing lines the better. And Claire’s spotless white dress for the first half. Of course the half a billion dollar haul in the first three days means a fifth movie is now in the pipeline. Probably a bad idea, unless the makers shake up that “caucasian affluent kids in peril” formula. Personally I’d like to see a fifth movie made on a London council estate, like Attack the Block, or something, anything different from what’s come before. For now, see it in IMAX 3d Dbox, with all the whistles and bells you can. And if you have ankle biters, expect nightmares. Fantasy violence can still mess with young heads, regardless of what lenient rating (12A) a blockbuster like this gets. To paraphrase the BBFC rating: Moderate threat, occasional bloody moments, action violence and some really stupid characters. A while ago I was writing a gig preview for a national newspaper, and the subject of a musician who had eventually received a letter from John Lennon piqued my interest. A great story thought I, and that was that. But now, about a year later, we have Danny Collins, the new movie starring Al Pacino as the eponymous musician inspired by that same story. Collins may be in the autumn of his years, but this coke-snorting, booze addled pensioner has charisma to burn. Everywhere he goes, fans are won over by his presence. Well most of them anyway. Christopher Plummer is on top form as his old friend and manager – the Arthur to Pacino’s Larry Sanders if you like. The truth is, Pacino can’t really hold a note, but it scarcely matters. He’s as a mesmerising now as when he made his screen debut more than 40 years ago. And while in many of his films he shone brighter than many of the cast, here there is a level playing field thanks to the presence of Plummer and the ever brilliant Annette Benning. The latter shines as of the manager of a hotel where Collins makes his base. If Alan Partridge were a fading Italian American rock star, then this would be a variation of his story. Yet one of the films* it reminded me most of was Music and Lyrics, the much maligned Hugh Grant/Drew Barrymore vehicle from a few years ago. Hugh wasn’t much of a singer either, but he carried off the part of a has-been singer songwriter from an 80s pop band with skill. And many of the songs in that film were a lot better. Back to Danny Collins, and after taking up residence in Ms Benning’s hotel, and striking up and uneasy friendship with her, Collins tries to make amends with the son he never met, his wife (Jennifer Garner) and grand daughter. This forms the backbone of the story, and makes up some of the most touching scenes. Danny doesn’t just have to build all the bridges he burned without even meeting his offspring, but is dealt a major blow when said son drops a bombshell. I had walked out of previous movie Spy about five minutes early so I could catch the start of this. Always a gamble, especially if the film you watch second is the worst than the first. I’m glad I made that modest sacrifice, because Danny Collins is light years ahead of that weak Melissa McCarthy vehicle. It’s reassuring to know that in these youth obsessed days, a megastar like Al Pacino can still cut the mustard, even if I was the only one watching that screening. Naming a movie after an unknown character is always a gamble, and it doesn’t always work. You only have to see Pacino’s Bobby Deerfield disaster to realise that. However, given the fact Danny Collins is omnipresent in this film, his smug face adorning billboards and a tour bus, it seems like a obvious fit. It might not bust the proverbial block, but this is a film with a massive heart, and thanks to some excellent performances it is bound to become a beloved classic in the months and years that follow. I haven’t seen a good spy comedy in years. For some reason, filmmakers have had a hard job coming up with an espionage spoof, that works as well as other genre classics Airplane or The Naked Gun.Leslie Nielsen comedy Spy Hard fell apart once you’ve got past those terrific Weird Al Jankovic opening titles, while Eddie Murphy and Owen Wilson made a good stab with I-Spy, a revamp of the old TV show. All of which preamble brings us to the latest genre entry. Jude Law is on good form as the secret agent who is guided through his missions by Melissa McCarthy, a chubby, single agent who clearly worships the ground he walks on. She’s the Chloe to his Jack Bauer; the voice in his ear who has instant access to schematics, knows where all the bad guys are, and prevents him from dying. However, when a tragedy occurs in the first few minutes, our unlikely heroine goes undercover to try and find the murderous femme fatale, played by Rose Byrne. Supporting McCarthy is Miranda Hart as her fellow agent, and Allison Janney as their boss, but despite the comic chops of the leading ladies, and a scene stealing Peter Serafinowicz, the unlikely star, and the person who generates the biggest laughs, is Jason Statham. Yes, the man least likely to raise a chuckle steals the show as the gruff British agent who has seen it all, done it all, and lived to tell the tale. He’s a hoot but the tone is often excessively violent at the expense of the fun. There’s an old saying with comedy: if it bends it’s funny, if it breaks it’s not, so why director Paul Feig decided to include some dubious scenes more at home in a horror movie is beyond me. Did we really need to see a poor soul having his neck eaten away by acid? I think not. It’s not a bad movie, but at two hours it’s 30 minutes too long. All good comedies should be around the 90 min mark – see Man Up for proof). One of the other key problems is the obviously improvised scenes where McCarthy insults one of Byrne’s minions. It falls flat and she just comes across as a xenophobic, aggressive idiot. However, if you only see one minute, make sure it’s the scene where McCarthy has a makeover and emerges from a doorway looking the spitting image of Dawn French. For those few seconds you could be forgiven for thinking Miss French was actually making a cameo appearance. Your starter for 10, no conferring. What links the movies Dark Journey (a long forgotten Conrad Veidt offering) with (best forgotten) Cannon and Ball vehicle The Boys in Blue? Neither were blockbusters or achieved Avengers-style household recognition, so to cut to the chase, Dark Journey was the first movie shown at Wolverhampton Odeon in 1937 and The Boys in Blue was one of the last in 1983. Every time I make a trip back to Wolverhampton to see family and friends, I’m stung by a pang of nostalgia as I walk past the former Odeon, now better known as the Diamond Banqueting Suite. The original Tron was the last film I saw there in 1983, a few weeks before the cinema closed for good and it was transformed into a Top Rank Bingo Club. In The Shining Stephen King suggests a building can retain memories of events that occurred there, like the smell of burnt toast long after charcoaled remains have been thrown in the bin. If that’s so, every brick of the former Odeon must be among the most magical in town. Throughout the 1970s I was weaned on Disney classics such as Herbie Rides Again, Pete’s Dragon and the like, not to mention all the mid-seventies Children’s Film Foundation offerings screened on Saturday mornings. All wholesome family entertainment but not so much pushing the cinematic envelope as nudging it gently with a stick. However, one Friday night in 1978, my life, like millions of others, was transformed by seeing one movie on that site, a film which stretched the celluloid envelope to breaking point. Following smuggled sausage rolls and a short film about motorbikes, not to mention obligatory ads for ice cream and peanuts, I saw Star Wars for the first time. It was the stuff dreams are made of, and while the Odeon had already achieved a magic, Star Wars helped transform it into something special. A few weeks later, watching the mothership rise up behind Devil’s Tower in Close Encounters of The Third Kind only added to the wonder. Even the films I didn’t see are still inextricably linked to that building. I still remember being fascinated in 1975 by the chilling cardboard standees for Ken Russell’s Tommy which graced the foyer, or the 1976 posters for the remake of King Kong, cult football flick Escape To Victory and even Dolly Parton/Jane Fonda comedy Nine To Five that graced the outside walls. Back in the days before internet and phone bookings, it seemed turning up on the night and hoping for a seat could mean countless hours spent queuing around the block in the hope of seeing the latest Bond epic. In 2015 of course, you can buy the DVD or Blu Ray of ‘The Next Big Thing II’ within 12 weeks of the movie release or rent it online, but in those days you either saw it on the big screen or waited between three and five years until blockbusters were granted a TV premiere. (Star Wars was a Sunday night on ITV in 1982 in case you were wondering). Would we have those days back? The tinny pre-THX Dolby sound; the humdrum projection, or the fact the right hand side of the cinema was reserved for smokers – despite the fact the smoke went wherever it fancied? Probably not. But the Odeon had a charm that kept me – and thousands of other cinemagoers – happy for decades. If Grand Designs’ Kevin McCloud were to ring and ask what my favourite buildings were, I’d have to choose New York’s Chrysler building closely followed by the much missed Odeon. In a perfect world PJ Price and Harry Weedon’s art deco, Grade II listed building on Skinner Street would have a blue plaque outside commemorating almost half a century of magic screened within its walls, but those who were lucky enough to grace those popcorn-strewn carpets carry their own happy memories every time they pass it. Perhaps that’s the greatest tribute of all. .Its 4pm. I leave work and walk a mile to the station, spend an hour on the world’s most uncomfortable train to Bradford where my wife collects me and we go and see A Room With A Stew – the latest gig for edgy, acclaimed comedian Stewart Lee. One second in and I’m already winning compared to two years ago when my plan to see him in York was scuppered by a flat car battery. To paraphrase Starship, ’Nothing was gonna stop me now’. And it didn’t. 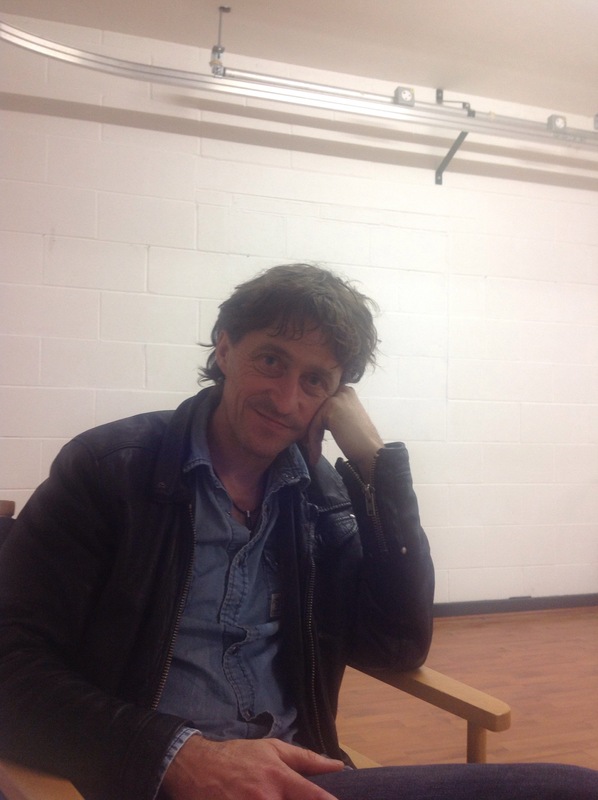 A few years ago, following the launch of series one of BBC series Comedy Vehicle, we had a phone chat about his work, why he doesn’t do panel games and his 20 plus years in the business. I’ve realised that comedians like Lee who can spend that long resisting the lure of regular TV jobs are either a rare breed or idiots. But Lee is clearly no fool. His cult success with Richard Herring on mid 1990s series Fist of Fun remains one of my favourite shows of the era from one of the happiest times of my life. The fact it’s rarely repeated on terrestrial TV is a crying shame. When Lee and Herring just “stopped” doing their thing, Stew spent a time in the comedy wilderness before Jerry Springer The Opera thrust him back into the mainstream. Suddenly he was being taken seriously by the arts crowd, and the controversy surrounding the BBC’s screening of said smash only added fuel to his engine. But what of his latest show you may wonder? Well it’s a work in progress, a two hour tryout of new material, courting controversy by trying to poke fun at religious phobics by seeming to side with them and turning the tables. It’s a good routine, but not brief. Like Ken Dodd, whose epic gigs have become the stuff of legend, there is a feeling of Stockholm syndrome as punters settle in for the duration and go with Lee on a ride. If he were an app, Lee would be a cross between Google Earth and an electron microscope, zooming in from the theatre to tell a gag, then analysing it at a molecular level, addressing if the gag works and why the audience in certain parts of the theatre reacts to it. Some of it works, some doesn’t, but Lee knows the power of that slow drip process of comedy attrition, wearing down the preconceptions of some, and exhausting every last drop of comedy potential from a set up, whether it’s urination or buying cheap Union Jacks. Remember those frying pan gags in Bottom when Rik would smash Ade in the face for so long it would be funny, boring and then hilarious? The same here, only on a verbal level. To be fair the first half, Lee was remarkably calm given the amount of latecomers interrupting his set, either arriving or punters nipping out to the loo like they were at a nightclub. (Frankie Boyle’s gig in York a few years ago had a draconian approach to such matters, and while the atmosphere was oppressive, given this alternative I can see he had a valid point). So in spite of the late arrivals, Lee delivered an often hilarious routine which was worth the trip (a mile walking back to the wife’s car in the rain didn’t dampen our spirits too much). Okay, it wasn’t as polished or full on as recent gigs by Lee Mack or Dara O Briain, but that’s not Stewart Lee’s style. They drive clever comedy vehicles with closed bonnets. Lee’s has a transparent hood where you can see the engine ticking over, and he’ll quite happily point out why some rib-tickling pistons fire better than others. It’s often a bold, ballsy approach to comedy, but a welcome change. So, 90 wind swept, rain-lashed miles to see something of a comedy curio. You may never see him on Mock or Cats, but Lee is as rare a talent as Eighties comedy turn Ted Chippington, the man who inspired him. Stewart Lee’s latest comedy vehicle may not take the most direct route to his punchlines, but there’s a lot to be said for ignoring the humour sat nav and seeing where the road takes you. There may be a few cul de sacs along the way, but never a dead end.